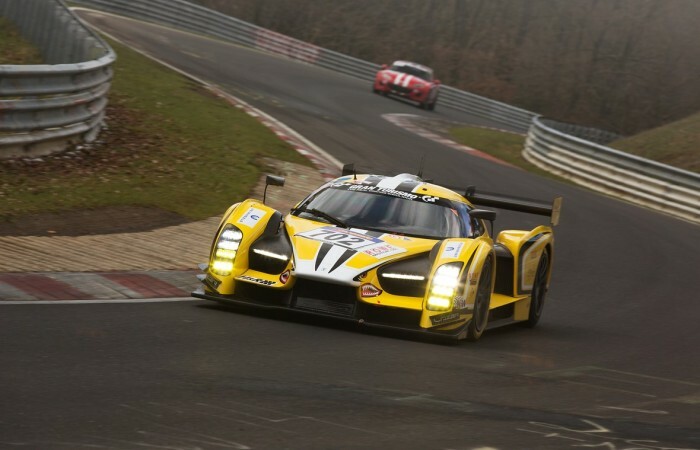 Scuderia Cameron Glickenhaus (SCG), a brand driven by passion and excellence, concluded the opening 2016 VLN Endurance Series round prematurely due to an exhaust failure. The team displayed some excellent potential during the race, which bodes well for SCG in preparation for the ADAC Zurich Nurburgring 24 hour race. The team qualified in 24th position, but the session was cut short when Thomas Mutsch made contact with the barriers on the Nordschleife. Mutsch completed his lap in order to qualify and then immediately returned to the pits. Macchinadue had suffered some damage to the steering rack and bodywork, presenting the team with only a two hour window to repair the car in order to start the race. The SCG mechanics faced a difficult challenge, working tirelessly to repair car 702 in time for Jeff Westphal to start the race at the back of the first pack via the pit lane. Opening the race for the team, Westphal started in 65th position, making good progress through the field before handing over to Andreas Simonsen after seven laps. Simonsen rejoined the race in 58th position and started charging up the order. Ultimately Simonsen’s fast pace led him to reach 29th position at the start of SCG’s 16th lap, before being hampered by an exhaust issue with 90 minutes of the race remaining. 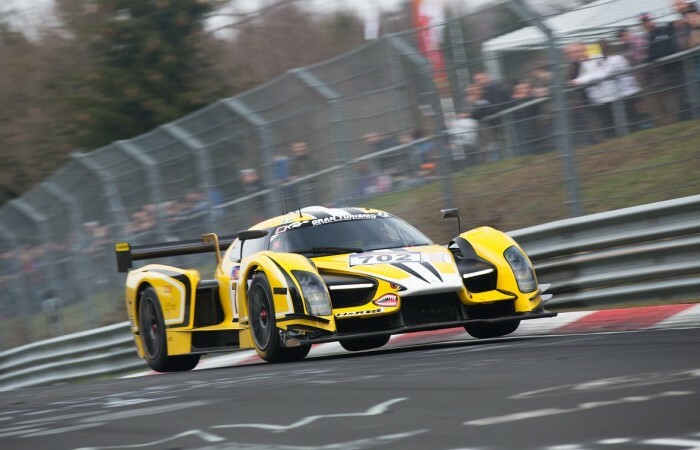 Facing competition from over 160 cars and over 400 drivers including 2015 Le Mans winner Earl Bamber, SCG displayed the SCG003C’s true performance potential. This could be seen towards the end of Simonsen’s stint, delivering lap times worthy of the top 10 in the race. SCG retired car 702 at 16:00.